Remember when Atletico Madrid were all about 1-0 wins and solid defensive displays? 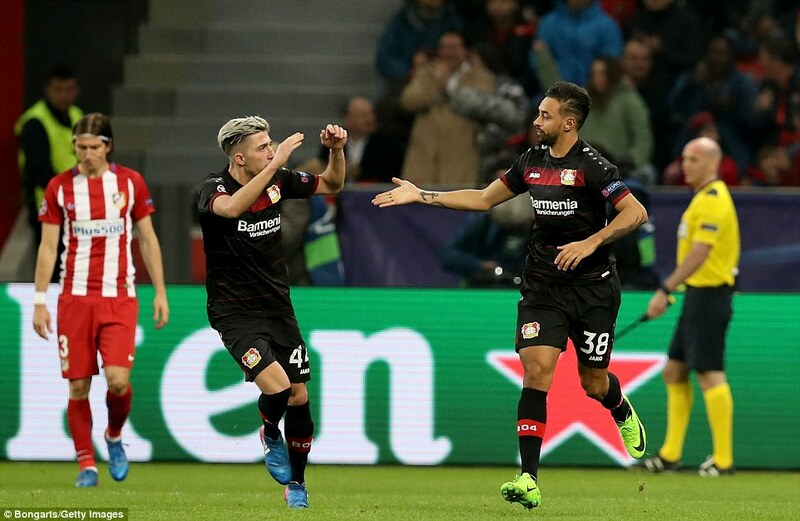 All three of their forwards scored as they beat Bayer Leverkusen in a thrilling 4-2 in Germany to take a huge step towards the quarter-finals. First midfielder Saul Niquez set the tone with a brilliant opener then the forwards took over. 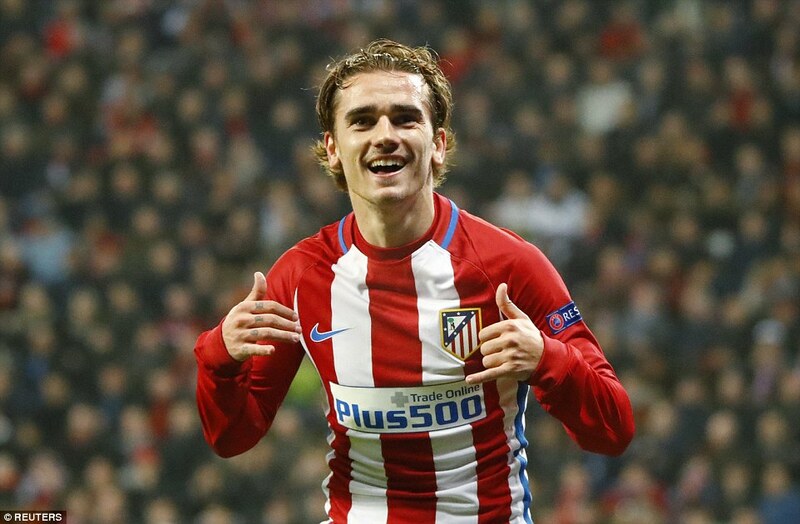 Antoine Griezmann became Atletico Madrid’s all-time top scorer in European football scoring his team’s second from Kevin Gameiro’s pass. Gameiro then scored from the penalty spot and Fernando Torres headed home with practically his first touch as a substitute. 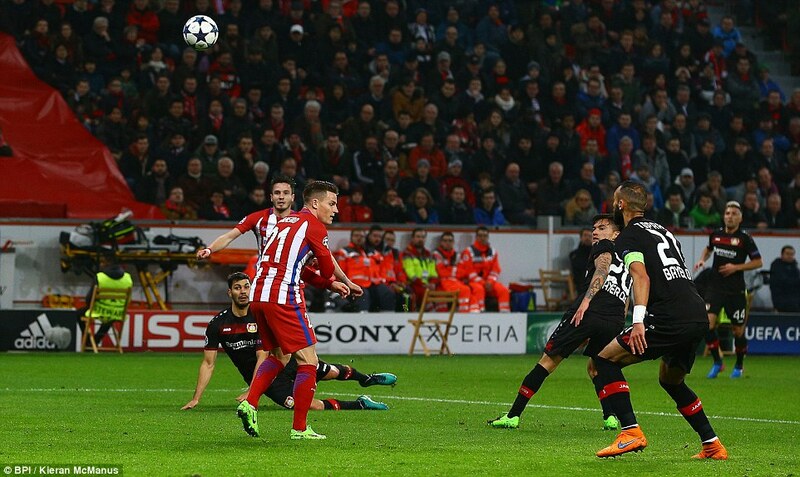 Torres’ goal was huge because Karim Bellarabi had got Leverkusen back into the game and Stefan Savic put through his own goal. Torres’ strike should be enough to shut down the tie. Griezmann shaded Saul as the star of the first half. Luis Aragones scored 12 goals for Atletico during his playing days, but the Frenchman now has 13, setting a new record. He is on 17 in all competitions this season and has netted 11 of the last 25 goals that his team has managed in Europe. No wonder the continents top clubs all want to take him away from Diego Simeone. Before his goal Saul had buried one from the outside of the area just as he had done against Bayern Munich last season. It was an important moment for a player who, the last time he played on this ground in 2015, spent four days in hospital after a kick in the kidneys from Kyriakos Papadopoulos left him with internal bruising. His goal was special and so was the Spanish team’s first half performance. The goal came on 17 minutes when the midfielder cut in from the right flank, made space for himself ahead of Aleksandar Dragovic, and curled a delightful left-footed shot into Leno’s top right-hand corner. 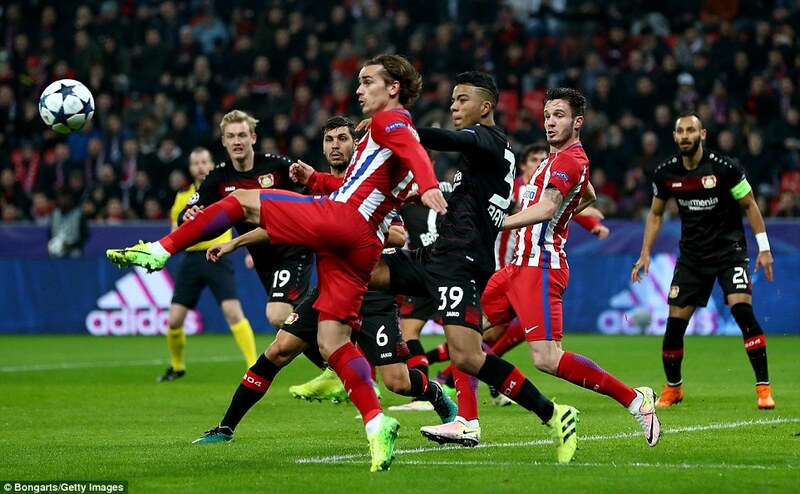 Atletico smelled Bayer blood and Griezmann and Gameiro went for the kill. 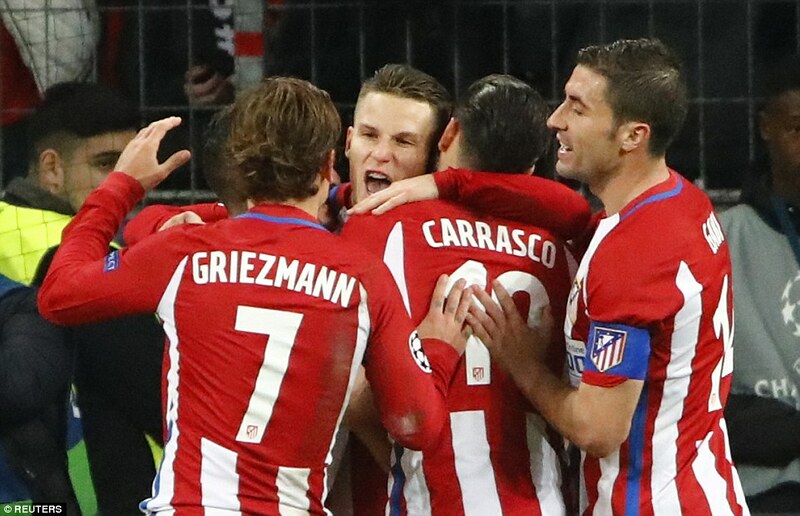 Gameiro made the most of a Dragovic failure to control a high ball and he teed-up Griezmann to blast in the second. Atletico have not always convinced of late in La Liga but they had found another gear in the Champions League and this was some first half from Simeone’s side. Griezmann was put through by Gameiro again and this time Leno made a fine save to keep the score at two and the tie alive. Miguel Moya saved from Kevin Kampl at the other end but Bayer were second best. 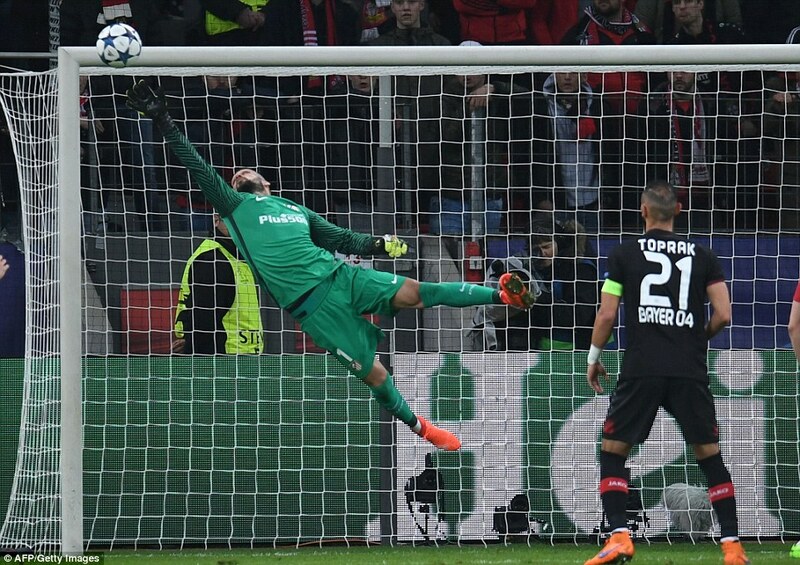 Hernandez had his first chance five minutes before the break but failed to really test the keeper. Atletico flew out of the blocks in the second half too and had the first chance, but Bayer scored immediately on the counter. Karim Bellarabi clipped a shot past Moya from Wendell’s cross and it was 2-1. Gameiro hit the bar with Atletico’s next break and then made and scored the third goal. He was dragged back, outside the box by Dragovic but he made sure the foul lasted into inside the area. Willie Collum pointed to the spot and Gameiro scored the spot-kick. No team has missed more penalties in La Liga this season scoring only three from nine. But Gameiro made no mistake. When he has scored this season Atletico have always won. This was to be no different but there was still a late slip. Simeone will be furious with the goal. 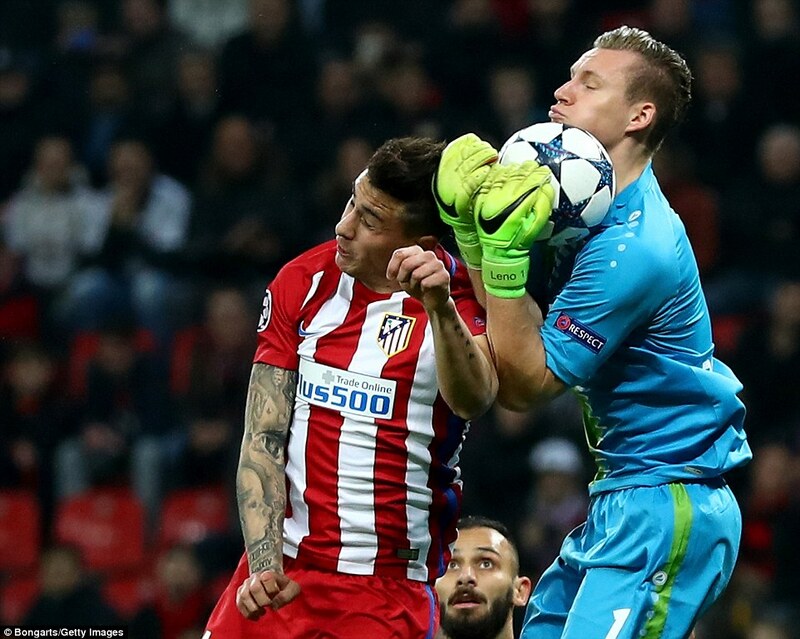 There are doubts over Moya at this level but the Atletico coach had left out Jan Oblak, despite him being fit again deciding not to bring him back for his first game in almost two months. Moya came out to meet a cross from the left but pushed it out straight at the on-rushing Savic who couldn’t avoid shinning it into his own net. 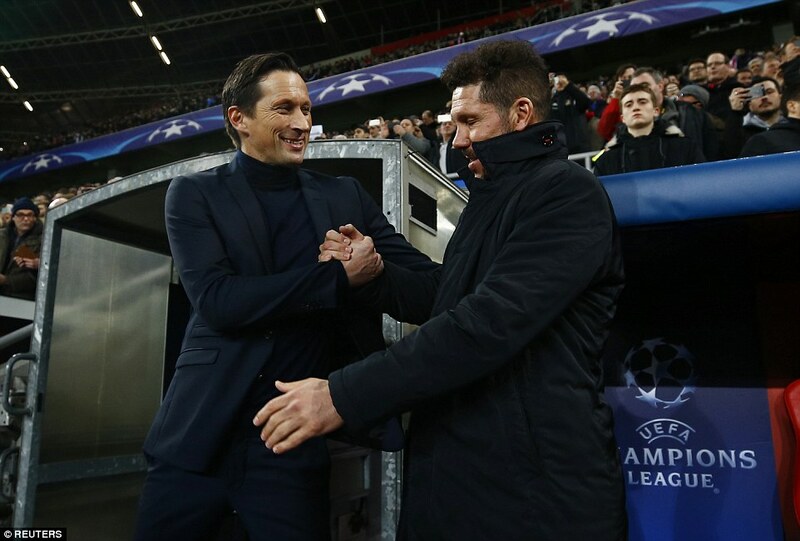 Simeone was fuming at this team’s defence having allowed the Germans back into the tie. He was then fuming at referee Collum when the referee only booked Charles Aranguiz for a studs-up foul on Gabi. There were more frayed nerves from the Atletico bench when Hernandez’s shot looked goalbound but somehow Filipe Luis threw himself in front of it. And on came Torres to nod in the fourth and set up a second leg in Madrid that ought to be far less frantic for last year’s finalists.